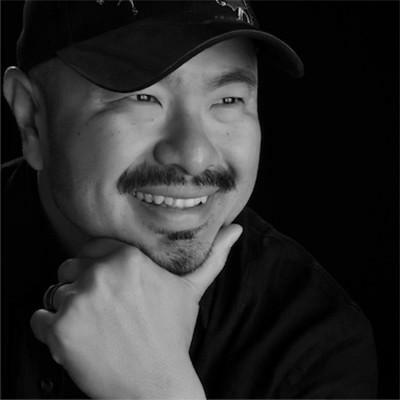 Walfrido, Son of renowned artist Edgardo F. Garcia, was born in the Philippines in 1966. As a second-generation artist, his story begins with his father/mentor. Facing difficult times and lack of opportunity, Edgardo left his homeland to pursue a better life for himself and his family. Three years later he was reunited with his five kids in a small town outside of Los Angeles called Victorville. They moved to the San Francisco Bay Area in 1973 seeking the “American Dream”. Watching his father teach art and paint made Walfrido eager to follow in his footsteps. He drew everything from airplanes to comic strip characters to develop his hand eye coordination. By the age of 14 his father took him under his wing and taught him all of the Old Masters secrets. 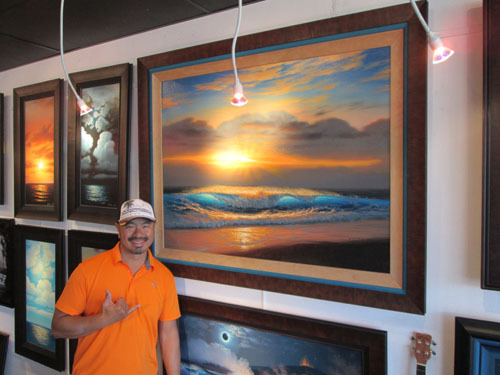 Walfrido’s love for painting came hand in hand with his love for surfing. By the time he was 17, he was teaching his own art classes, hanging his art in Carmel galleries and taking art classes full time at Ohlone Jr. college in Fremont, Ca. In 1987, while on vacation in Hawaii, he found representation by the Livingston art gallery on Oahu. From there his work attracted the attention of local as well as international art buyers. Walfrido continued to paint, teach and study art at San Jose State University. 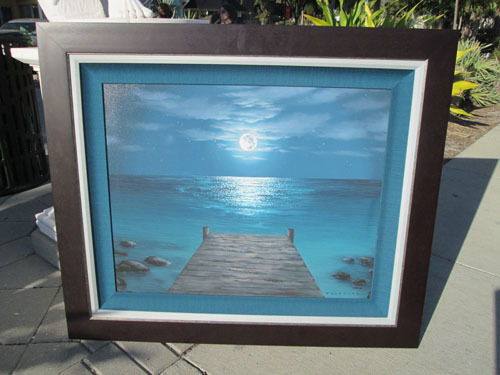 His paintings eventually caught the eye of Bill Wyland, founder of Wyland Galleries Hawaii. At the age of 23, he was the youngest artist to display his art in the major gallery chain. Since then Walfrido’s art has graced the walls of art galleries and collectors home across the United States and abroad. His style can be described as “Romantic Luminism” in which the subject he portrays go beyond just imitating a photograph but instead add a sense of timeless perfection to nature. Each painting starts out as a loose impressionistic idea. As the layers of paint are added the details come out. By the time the highlights are done the painting glows with light reminiscent of the Old Masters. From up close you can see the rhythm of his brush strokes but when you take a step back the eye blends them all into a harmonious tapestry of light, color and texture. Using photographs, videos and painting on site gives Walfrido endless subjects to paint but it is his imagination that unlocks the key to his style. 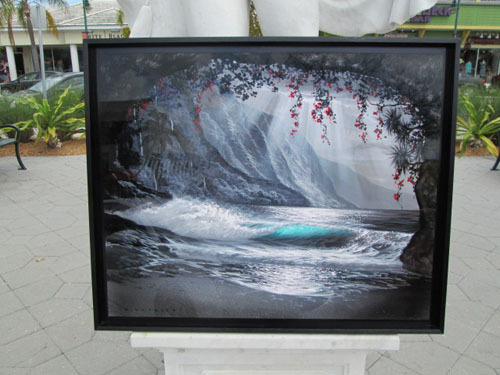 Each painting plays upon the quality of light whether it is a romantic moonlight, a brilliant sunset, the sea caves of Kauai or the awe-inspiring glow of his signature “Lavascapes“. Its as if each canvas is alive with the brilliant light of nature coming from within. 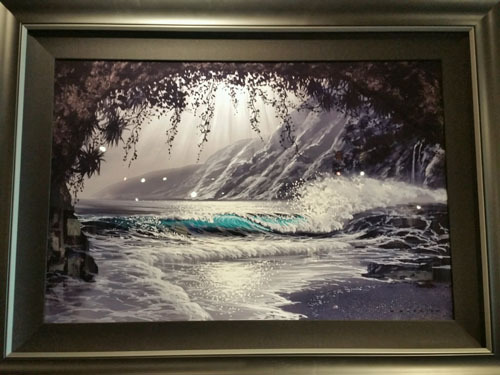 Walfrido is best known for being a ground-breaking leader in seascape art. 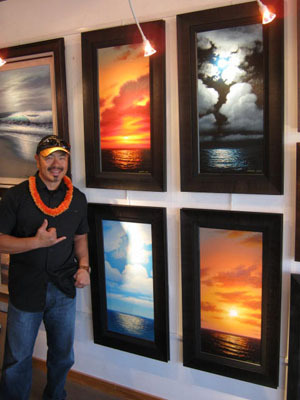 Besides his traditional seascapes his trailblazing series includes his Koa wood collection, simple seas, fire and fantasy, Disney collaborations and Princess Cruise lines edition. Aside being a full-time painter, his credits include being t.v. 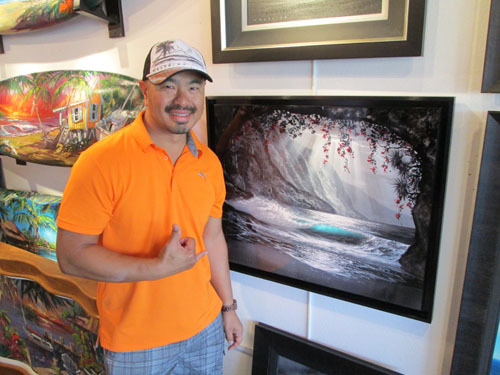 producer of his own art show “Art Made Easy” which has been awarded “Best Art Show” in the islands over the local channels. Walfrido’s greatest sense of accomplishment is being a father, a husband and bringing people’s spirit closer to the light with his art. 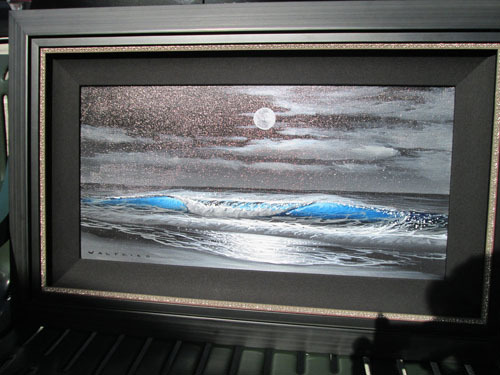 With over 34 years of painting behind him Walfrido is considered to be one of the most distinguished seascape artists today.